Lent begins this year on March 1 with Ash Wednesday. I have begun to think about all the possibilities of our music and space for worship during the upcoming season. Lent is a time to reflect, to pause, to weigh the costs of discipleship, and to prayerfully prepare for marking time with Jesus’ death and resurrection. In particular I am thinking about the music for worship in our gathered assemblies. 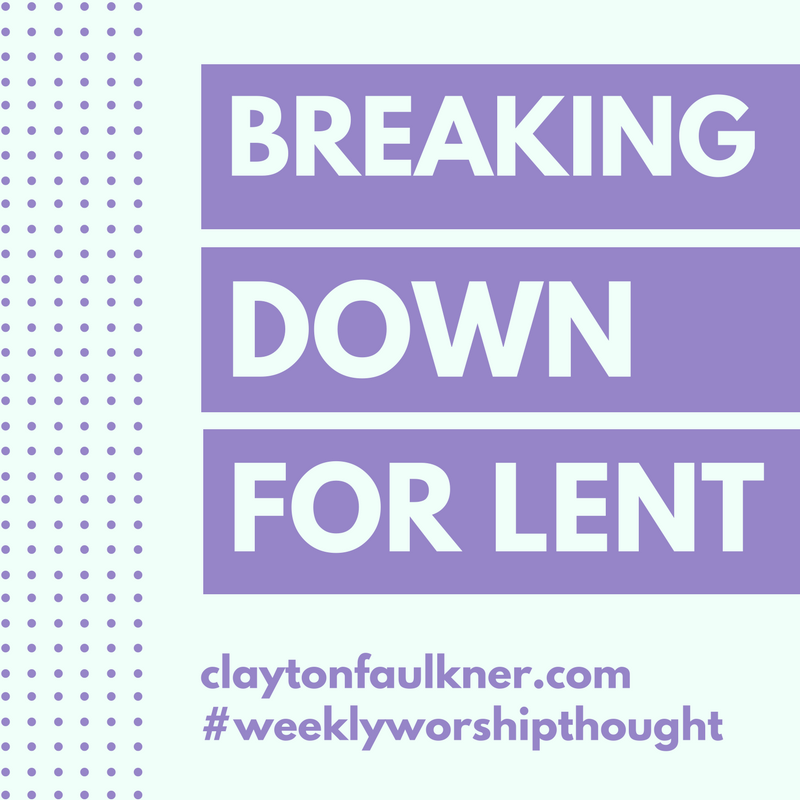 What can be done musically to carry across the layers of meaning we find during the Lenten season? One idea I am exploring is breaking things down. In a musical sense, this means simplifying things. The simplicity of our instruments and ensembles can bring out the themes of Lent. An article at WorshipLeader.com makes some suggestions for improving congregational singing that I think are helpful: “I did not have my band play on every verse and chorus. 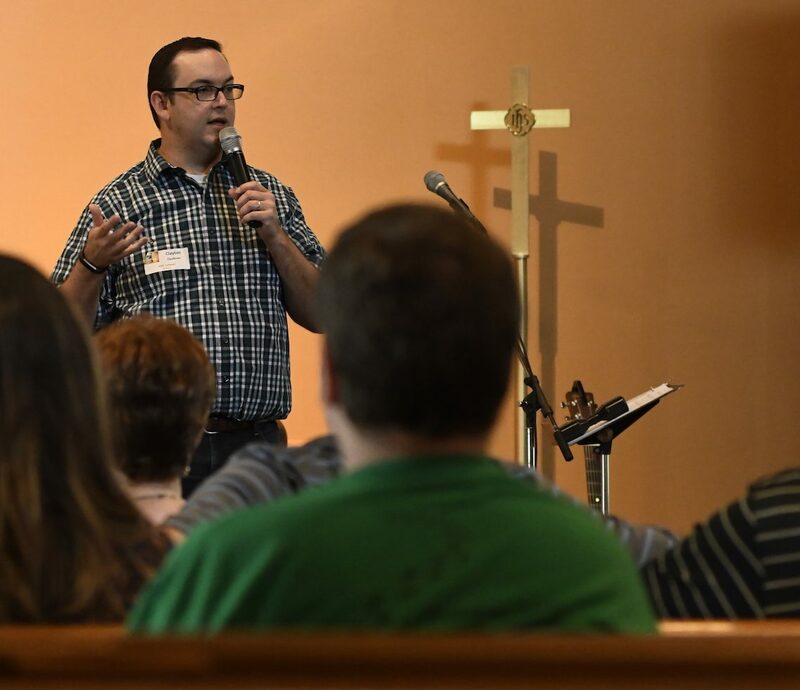 Musical accompaniment has one major purpose: supporting congregational singing! The most important sound on Sunday morning is that of your congregation. Have the band stop playing occasionally and let the people hear each other. I promise they will sing louder and more heartily in response!” Breaking things down instrumentally and providing simplicity can help the assembly sing – a worthy goal regardless of the liturgical season! Breaking things down can be done in many ways. It could be using acoustic instruments instead of electric instruments, hand percussion instead of full drum kit, or just using piano or unaccompanied singing. Try one of these ideas in your context. 4. Worship should employ a wide range of styles. There are as many styles of worship as there are tastes of music. Since we are the church [in a catholic sense – the universal church] we should use as many styles of music/art that we can. Of course this is all relative to the demographic of each congregation. If a congregation is contextually made up of X people [X = African, Korean, Native American, gangstas, cowboys, etc.] and serves a community that is primarily made up of X people, then X style of music/art should be used. Context is key. But we are still a universal body of Believers. And something/sometime in worship should speak to and prepare the worshiper for that day when all tongues will be united in one song. What will the style of the song be? What language will it be in? We don’t really know [and perhaps it doesn’t matter], but we should be preparing ourselves for just about anything as we approach that day. The church is not only made up of our brothers and sisters across the globe, but also across time. We need to be historically connected with our brothers and sisters who served God to insure that the message of Christ made it to us. We can do this by singing the songs they wrote and preserving the art they produced in service to God. In my opinion this is one of the reasons why the church is in such sad shape today [from a modern/American perspective]. Good chunks of the church have failed to recognize and celebrate their past. Sacred liturgies, prayers, songs, rituals, calendars/seasons, creeds, etc. have been abandoned. We have dissected ourselves from the root from which we grew. We can learn something from those who walked before us. They worshiped the same God we do, they confessed the same faith, and they struggled the same struggles we do. And their songs/art are expressions of what they felt walking on the same path we find ourselves walking on.